It is really the best contact form for WordPress and it manages many contact forms, we can customize the multiple forms without any issue and the mail contents flexibly in few easy steps. This form supports Ajax-powered submitting for getting the original comments. This system keeps us far away from spam comments on our blog. XML Sitemaps are a way to tell Google, Bing and other search engines about web pages, images and video content on your site that they may otherwise not discover. The Image Sitemap plug-in will generate a sitemap for your WordPress blog with the entire image URLs that are attached to your blog posts and WordPress pages. Jetpack is a WordPress plug-in that supercharges your self-hosted WordPress site. It powers up your WordPress site with some interesting features. It enables the social network comment system. You users can also like your post, tweet your post on Facebook and twitter respectively. This is the plugin of that category which fully differentiate Blogger and WordPress. This plug-in is written from the ground up by WordPress SEO consultant and WordPress developer Joost de Valk to improve your site's SEO on all needed aspects. By its last update, it is now the best WordPress plug-in. No.1 position is hosted this plug-in as SEO. There is no need for doing off-page SEO for your blog. I think blogger should also implement this thing in its system because it is much needed. When a reply is made to a comment the user has left on a blog, an e-mail will be sent to the user to notify him that his comment has been replied. This will allow the users to follow up the comment and expand the conversation if desired. This is a much indeed thing. This is a very good plugin for that website which are receiving very-very large number of comments. It is not a plugin which only shows the related posts. Its advance technology analyzes the website content continuously and displays few of the related posts from your website. It will surely increase your website traffic and will give benefit in form of more and more page views. It will provide a different personal experience to your visitors. If you are using WordPress, then you must install this plugin. Add hReview and Aggregate Rating support based on schema.org, which help you increase search traffic by making SERP results more eye-catching. This plug-in supports only the editorial ratings submission, this means customers and site visitors are not involved in the rating or review process, this means rating reflects only the author's opinion. Simple Google Sitemap XML generates a valid Google XML sitemap, which can then be used with Google's Webmaster Tools. Every time you publish a new post/page or delete a post/page, a new sitemap gets created automatically which means you don't have to do anything. No need to add sitemap to Google manually, use this plugin your work will be done. This is really a nice plugin; it will use any specific thumbnail you have indicated manually. It will add image to the previous post automatically. I think this is a must have plug-in. It will save your effort as you don’t have to add images to your previous posts manually. RDFa Breadcrumb provide links back to each previous page the user navigated through to get to the current page or - in hierarchical site structures - the parent pages of the current one. An easy template tag for showing a breadcrumb menu on your site and on goggle search results with built in RDFa Markup. It helps user to see where they are on your website or blog. 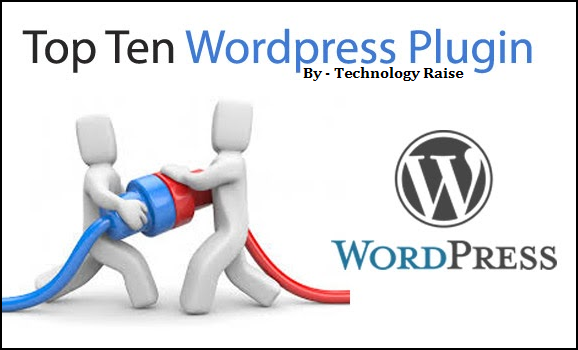 So friends, this was the list of top 10 WordPress plug-ins that are must use and I recommend you to use in the year 2013. We will keep updated you with more useful content in the near future, till then, good bye and Take Care.